Samui is the largest of about 80 islands lying off Surat Thani province. 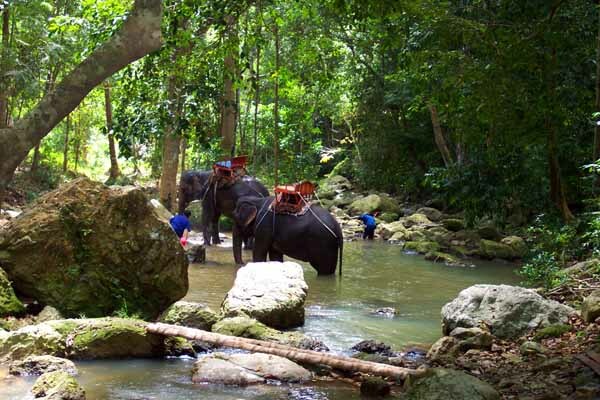 Tourists started visiting here in the early 1970s and the place started to gain popularity among the backpacker set as Phuket's rising number of visitors started making it too expensive. An airport opened in the late 1980s made the island easier to get to for the general public and Samui is now almost equal in popularity with Phuket. Since it's smaller, Samui doesn't have the variety of diversions that Phuket has. It's a more laid back atmosphere. On the definite plus side, the beaches of Samui, particularly Chaweng, are among our favorites in Thailand. The reason for visiting Samui is the sun, sand and sea. There aren't a lot of things to see on the island, but with more development comes more options. Among the highlights of things to see away from the beach are the Grandfather and Grandmother Stones, A pair of rocks sculpted by the wind and water into rather suggestive shapes. Inland from the beaches are several waterfalls, the most popular of which is the Na Muang falls. If you really want to escape the crowds, then we suggest a visit to the relatively undeveloped southern coast and the Laem Sor Pagoda. 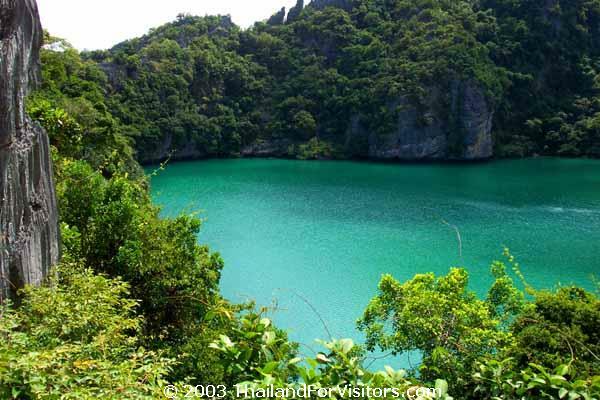 Definitely not to be missed is Angthong National Marine Park. A day trip out of Samui will take you to this park consisting of more than 40 islands and islets. There are some very spectacular views from the largest island, and an emerald green inland lake hidden within the limestone walls of another island.